Sign up now and get a coupon for a FREE ice cream on your birth­day. Catch a deal on your favorite cakes and treats from Baskin-Robbins. 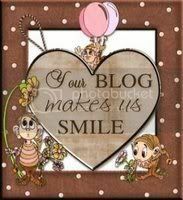 Spe­cial offers and coupons all year long. On Wednes­day, April 27th from 5:00 p.m. to 10:00 p.m., Baskin Rob­bins will host its third annual 31 Cent Scoop Night in sup­port of the Cana­dian Fallen Fire­fight­ers Foun­da­tion (CFFF)*. 3 oz. Soft Serve cone for only 31 cents each. *** All cus­tomers will also have the oppor­tu­nity to make a dona­tion to the CFFF while in-store. 31 Cent Scoop Night is an excit­ing night out for the whole fam­ily to enjoy an evening of ice cream while, at the same time, pay­ing trib­ute to our nation’s fallen fire­fight­ing heroes. Some loca­tions will be host­ing addi­tional activ­i­ties, includ­ing hav­ing local fire­fight­ers on-site to assist in serv­ing ice cream and giv­ing tours of their fire trucks. 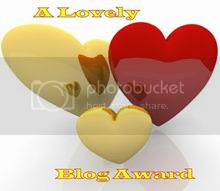 Click here for the deets, and thanks again Wally2009 for shar­ing!! 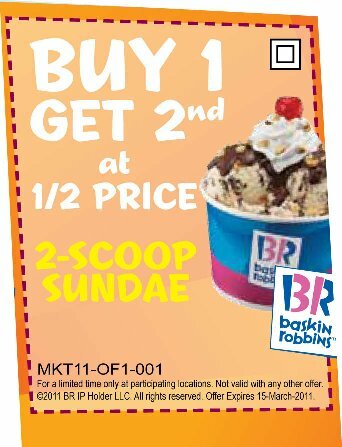 Click here to grab your Baskin Rob­bins Canada Coupon 2-Scoop Sun­dae — Buy 1 get 2nd at 1/2 Price now! This coupon is valid until March 15th — yummy! 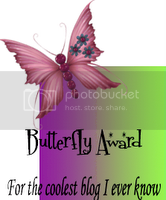 Thanks again to Wally2009 for shar­ing this fab coupon with us here at CoolCanucks!! 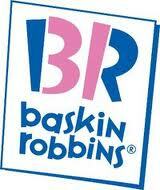 visaperks.ca ~ Baskin Robbins Canada ~ Visa perks 2 for 1 cones! In this weather who doesn’t want ice cream? I’m going tonight, Rocky Road here I come! 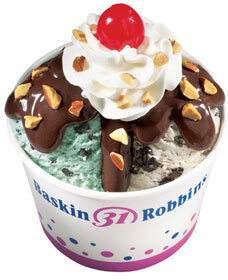 Thanks to visaperks.ca, sim­ply use your Visa to pay and get 2 for 1 cone deals at Baskin Rob­bins Canada!! 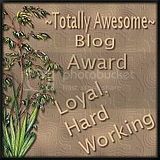 Click here for the deets that vil­mark posted in our CoolCanucks.ca Coupon forum!